We guarantee to keep your Advertisement listed until you tell us to remove it! We guarantee to list your tree(s) until you sell them, provided you inform us every 3 months to let us know your trees are still available. Otherwise your advertisement will expire automatically 3 months after your last update. There are no further charges when you Renew, Edit or Delete your advertisement. If you want to Sell a tree which is located in your garden, you can advertise your tree availability online immediately. It's as easy as 1-2-3. It costs $19.90 dollars to advertise a backyard trees for sale. We accept USD and AUD currencies. If you have a multiple of the same tree species to sell, you just fill out your advertisement form and indicate the quantity you have to sell, and it only costs the one advertisement fee. However, you will need to fill out a separate advertisement for each different species of trees for sale.  It is Free to Browse or Search the trees stock availability of all BuySellTrees trees and palms advertised for sale. You can even give away your backyard trees to save on removal and dumping fees. This also helps to preserve our planet's precious "Green Assets" while reducing landfill overload. Give the Environment the Green Light. Recycle and Save a Tree today. You can upload up to 5 images to support your advertisement. If you want to advertise your shed items or outdoor items is as easy as 1-2-3. It costs $19.90 dollars to advertise your garden items for sale. We accept USD and AUD currencies. If you have a multiple items of the same type to sell, you just fill out your advertisement form and indicate the quantity you have to sell, and it only costs the one advertisement fee. However, you will need to fill out a separate advertisement for each different type of items for sale. It is Free to Browse or Search the trees stock availability of all items for for sale. You can even give away your items to save on removal and dumping fees. This also helps to preserve our planet's precious "Green Assets" while reducing rubish overload. Give the Environment the Green Light. Recycle today. We do not normally give refunds if you simply change your mind, or place the wrong advert. When you select a Login Id and Password to Sell A Tree please use the same Login id and password each time you advertise in the future. That way, when you advertise different trees for sale later on, you can then access and update all your advertisements with the same password. Before you can remove any advanced tree or mature tree growing on your property, you will need to check your local Tree Preservation office. Your local Tree Preservation / Parks & Gardens Officer will let you know whether it is Ok to remove or prune any trees growing on your property and what environmental considerations you may need to adhere to. We encourage tree owners to enlist the services of a Professional Horticultural Service / Tree Transplanting Company to relocate your trees. We are trees information providers and trees advertising service only. We rely on customers to supply correct information and to report all bought and sold promptly. Buyers and sellers are responsible for completing their own inspection, assessment and relocation of all trees and garden items. We encourage tree owners to enlist the services of a professional horticultural service to identify and relocate their trees. They can inform the owner about the tree's viability for relocation and any environmental considerations. The materials posted on this website are for information only. Whilst every effort has been made to ensure that the information is correct at the time of posting, and to keep the website current, we do not warrant the accuracy of the information contained in this web site. If we feel material posted on the website is unsuitable for our home and garden community we will remove it immediately to maintain the quality of our service. This site may include links to third party sites which are not related to us and in relation to which we have no control or interest. The appearance of those links on this site does not indicate any relationship between us and that third party or any endorsement by us of that third party, its site or the products or services which it is advertising on this site. We will have no responsibility or liability in relation to any loss or damage which you incur in using this web site or the information contained in it, including damage to your software or hardware, arising from your use of or access to this site. While we make every effort to ensure its accuracy, we make no representation as to the accuracy or completeness of information in this website. Readers and users are advised to independently verify any information prior to reliance thereon. The information provided in this report does not constitute legal advice. Any images or pictures uploaded to our website to support your advertisement could be used by us for promotional purposes. You should ensure that you have the right to distribute the photos or images uploaded for your advert and you are not violating any existing copyrights on those photos or images. We take no responsibility for copyright. We may edit your advertisement or photos to maintain our standards and layout. We may collect customer information to improve your overall web experience with us. Your privacy is very important to us. We respect your privacy and are committed to maintaining and using your information responsibly. This information is collected and used for the purposes of communicating with you electronically, by mail or telephone with respect to our services and products, sending promotional information, for statistical purposes and to administer our systems. We do not rent, sell or share personal information about you with other people unless we have your permission. Advertising with us is safe. You are a valued customer. Your payment is processed by PayPal, a secured payment gateway. We don't store Credit Card details. We don't give out customer details. Your privacy means a lot to us and we promise to maintain it.